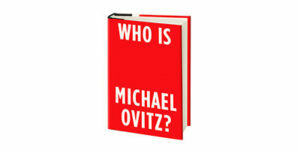 A striver, an entrepreneur, a friend and confidant to megastars, a pioneer who reinvented the role of the agent, a master negotiator who drove historic deals, a self-taught connoisseur of art and architecture, a generous philanthropist, a devoted father … After decades of near silence, Ovitz now tells his whole story in WHO IS MICHAEL OVITZ?, published by Portfolio on September 25. In this “Three Questions for an Editor” Igloo interview, Portfolio President & Publisher Adrian Zackheim reveals how this book came about, what was involved in working with Ovitz on his manuscript, and who Adrian thinks will be the most enthusiastic readers of WHO IS MICHAEL OVITZ? When and how did the idea for this book come about? Michael and I started talking about a book more than a decade ago, and for a while we had trouble settling on a frame that suited his purposes. Eventually we agreed on a book called “Twelve Deals,” a sort of highlight reel of his most memorable negotiations, with lots of takeaway for the business reader. But as soon as he dug into the task of actually writing Twelve Deals, he discovered that the narrative kept getting larger. How to explain his approach without explaining where he came from, how his perspective was formulated? And before long he was writing a full-fledged memoir, and there was no going back. Then of course, he found himself on the most difficult road, and the book you have in front of you actually emerged after a long and challenging process of refinement. What was involved in the editorial process and working with Michael Ovtiz on his manuscript? Michael Ovitz is a famously demanding judge of the work, including his work. And consequently, this manuscript was over five years in the making. He challenged all of us to read his drafts critically, and enlisted opinions from trusted friends and advisors. He never thought we were being tough enough. I personally worked through one draft of the manuscript with him literally line by line, in the office, at his home, even on a plane ride from New York to Los Angeles. We rediscovered some excellent new material in the process. At the end of that round of painstaking revisions and rewrites, Michael still felt that we were missing something crucial, and there were several major soul-searching rewrites before we got to the final version that you have before you. I personally was stunned by the final result, but you be the judge. Who do you think will be the most enthusiastic readers of WHO IS MICHAEL OVITZ? and how do you think the book will resonate with millennials? I am constantly surprised by the audiences that are drawn to our books. Obviously, every movie fan who savored the dozens of immortal films that Michael Ovitz willed into existence constitute a huge natural audience for the book. Then there are the entertainment industry professionals of every age who are curious about the history of CAA, and how this brilliant strategist achieved the level of hegemony that he did in movie, television, music, and ultimately advertising and investment banking. His profound influence in Silicon Valley will appeal to the entire community of digital entrepreneurs. And honestly, anyone who is pursuing a career in entertainment or any business will find enormous value in this book. Plus, it’s tremendous fun. Even the photo insert is a delight – more interesting photos of more celebrities than I’ve ever seen in my career.